That's right, no frames please. 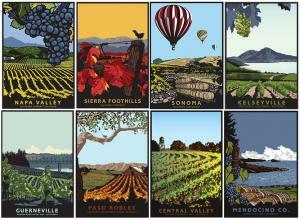 Includes all 10 California Wine Series images in one unframed set. All the images have the same edition number throughout.